YES! I WANT 'HARPY BIRTHDAY' TRAINING for FREE! You’ll always be ready when the cake comes out! 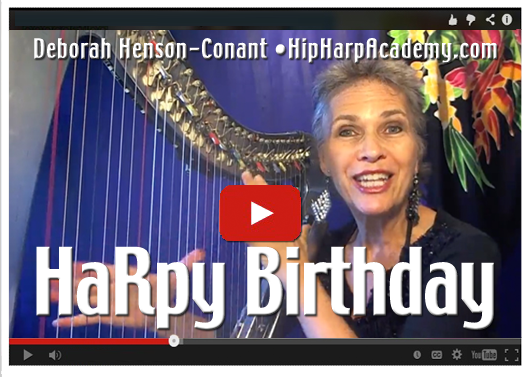 YOU’LL get my secret tips to creating a fabulous SPONTANEOUS version of “Happy Birthday” (seriously!) at your own level of technical ability! MY HANDY “PLAYSHEET” means you don’t even need to take notes! 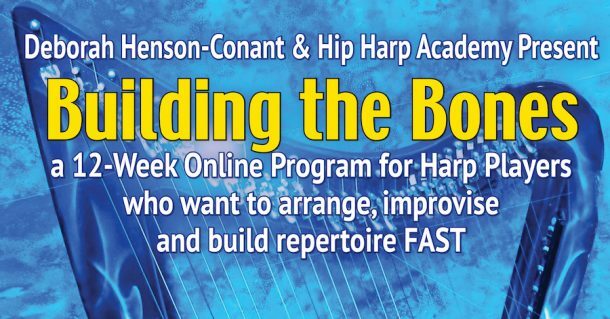 Play it on lever harp or pedal harp – at levels from fledgling players to professionals (beginners – you can even give it a try). Whether you read music or not!